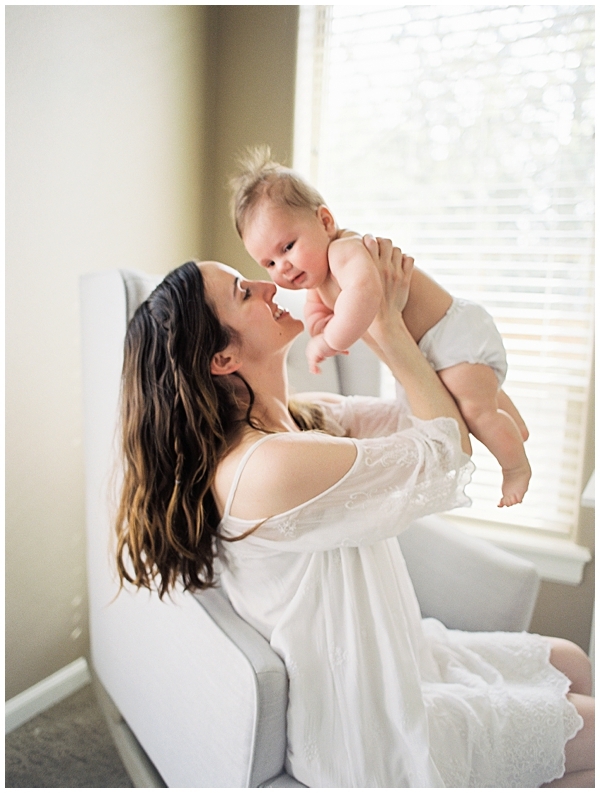 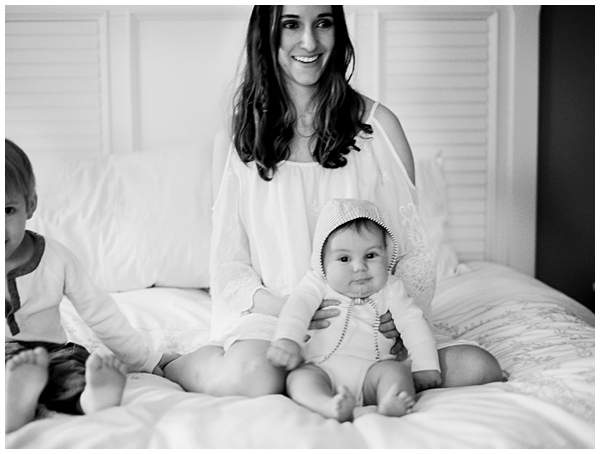 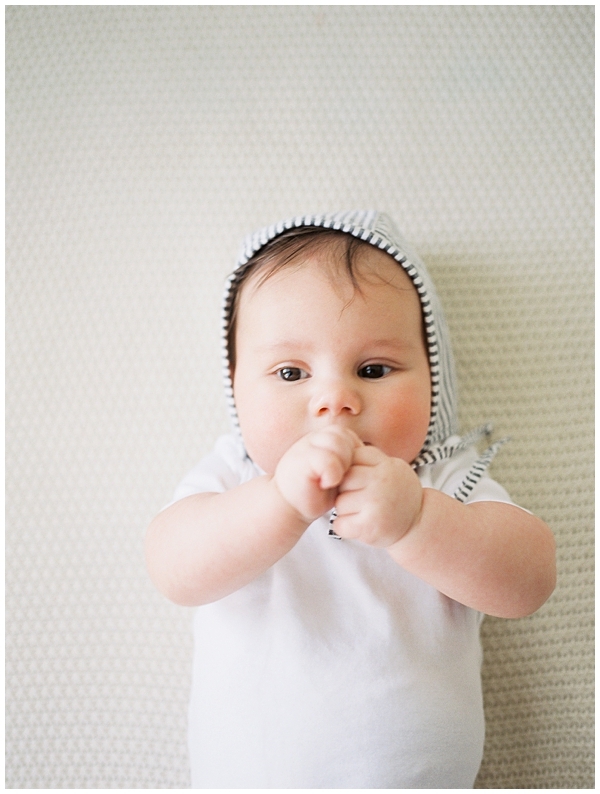 -Lifestyle sessions are less stressful than hauling your littles to a location: As a brand new mom or dad, it can feel downright monumental to get dressed up, put makeup on, gather up your child(ren), and arrive somewhere, on top of nursing or feedings, and changing diapers. 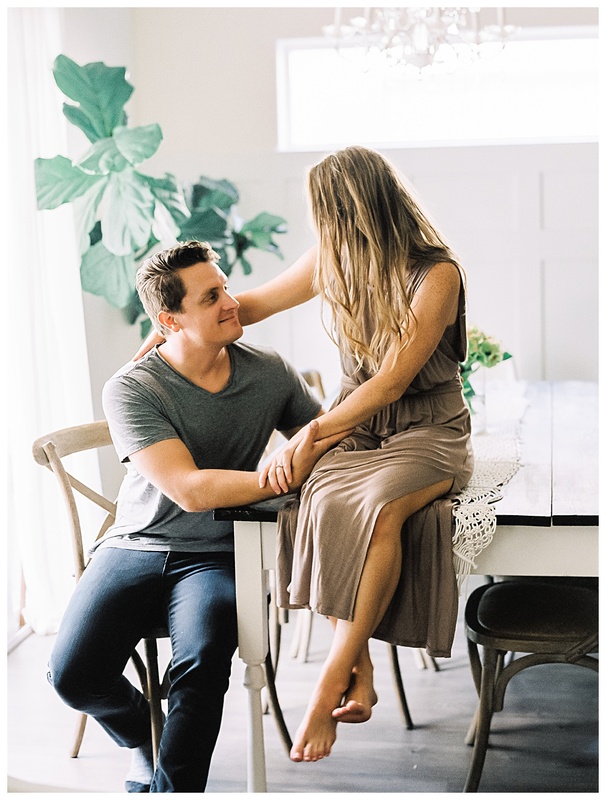 Lifestyle sessions in your home mean you can be where you're MOST comfortable, and feel like yourself. 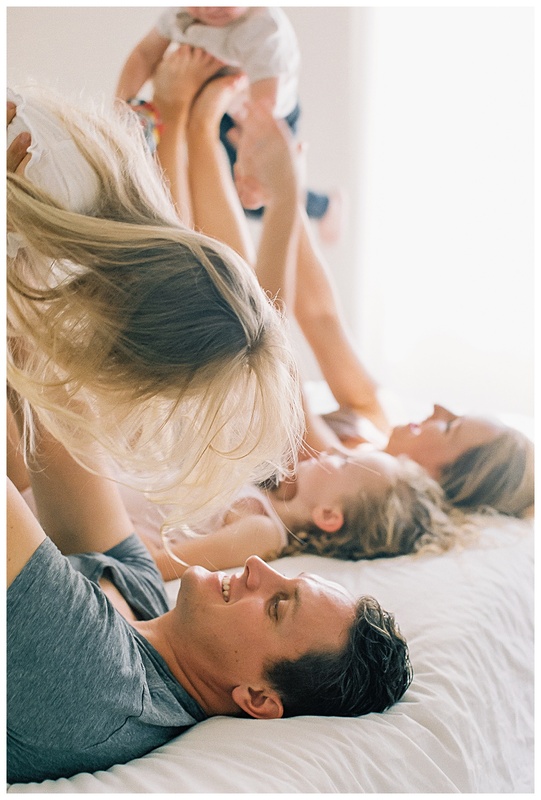 Your children will be more relaxed, and everyone can feel at ease going about a normal morning! 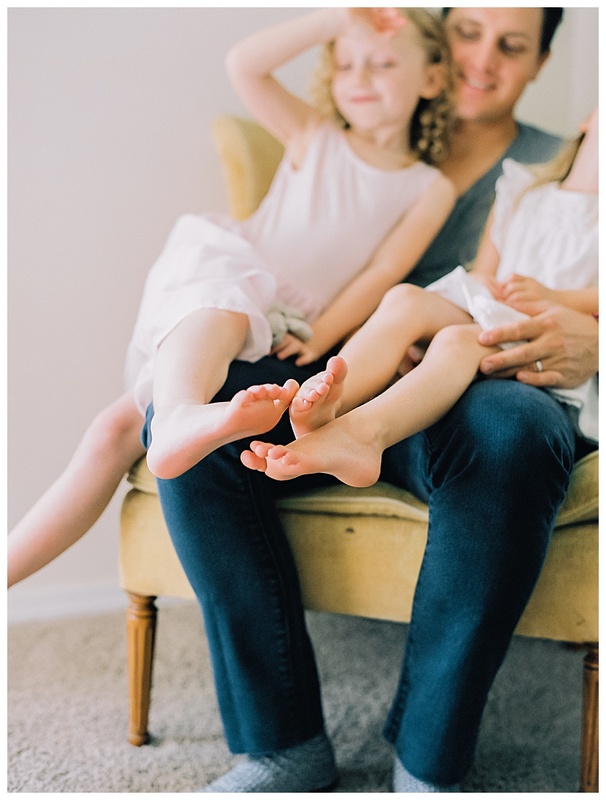 -A lifestyle session preserves memories of the things you love: We all know that families (especially young ones) rarely stay in the same house for years and years, and even if they do, your furniture or decor change as time passes. 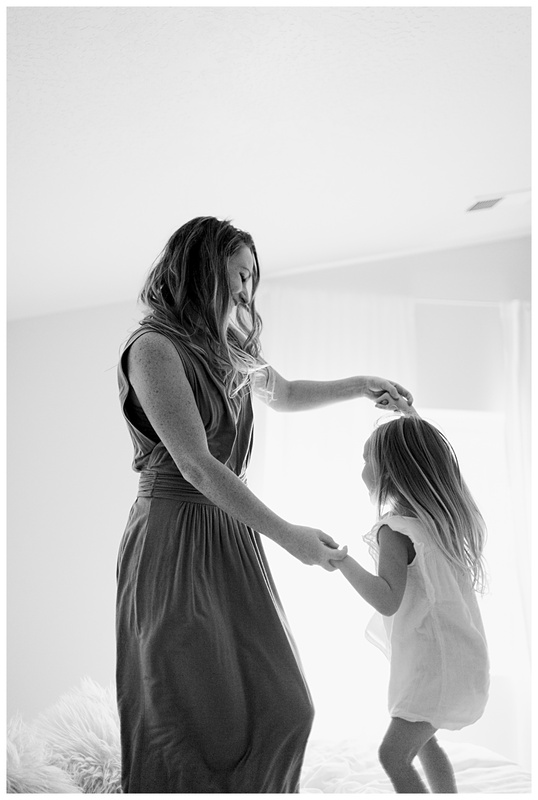 A shoot in your home preserves those fun parts of your home to remember. 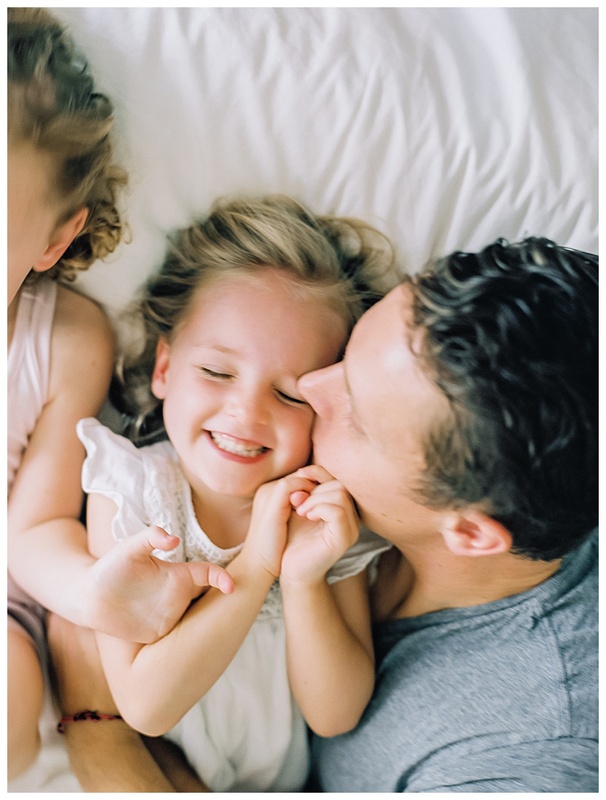 It might seem like a small thing, but your children will love looking back in years to come and seeing their bedroom or your living room or backyard. 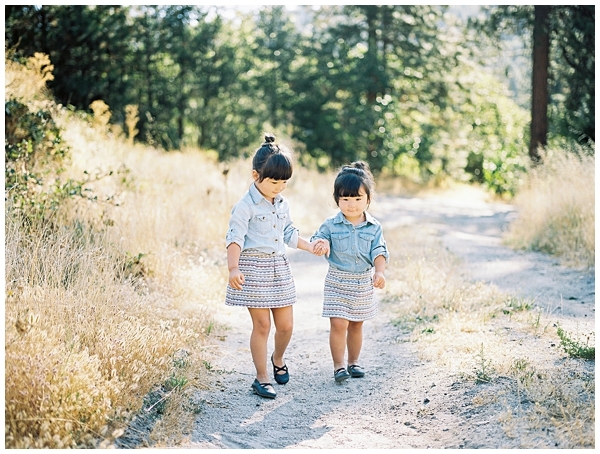 It will bring back nostalgic memories of their childhood. 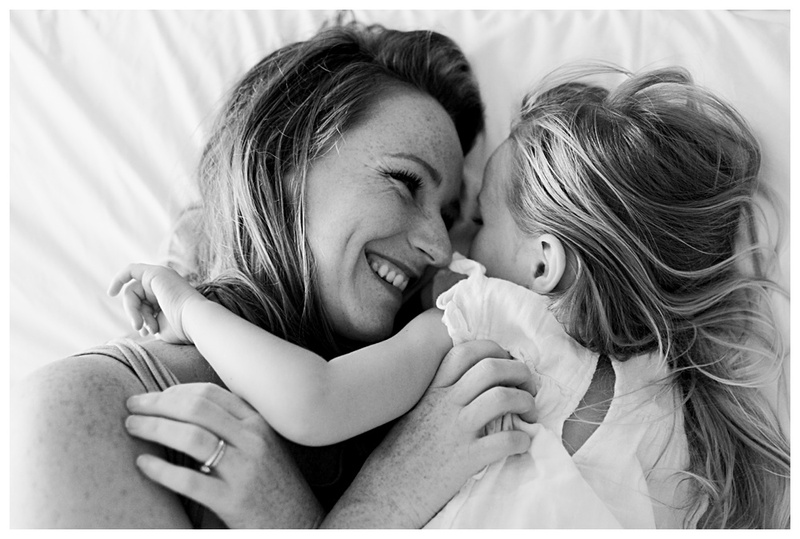 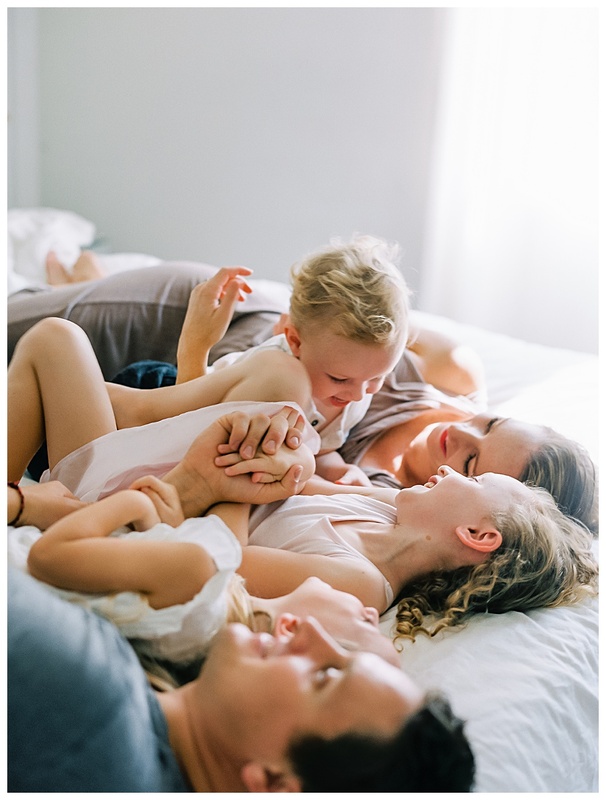 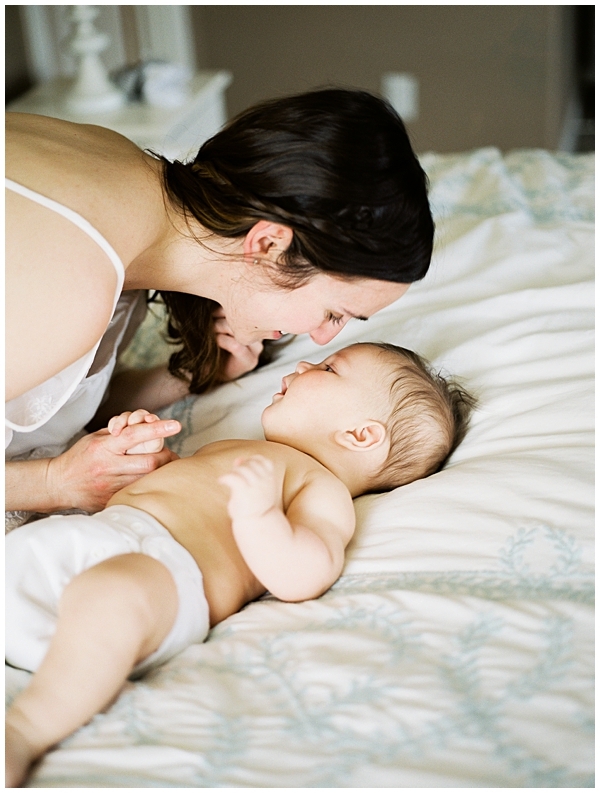 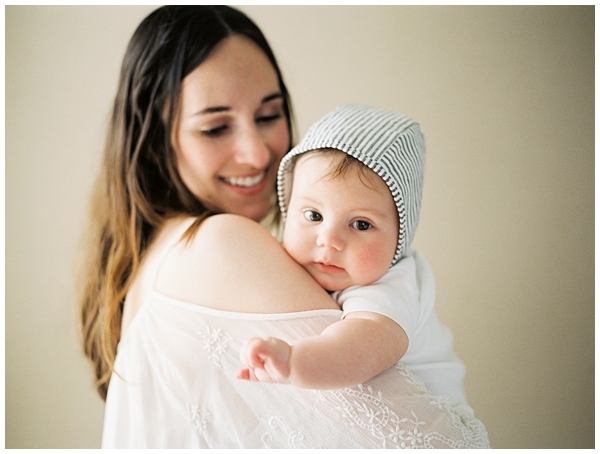 -It is special to capture the real emotions of welcoming baby home: Especially for families that are welcoming a new baby, a lifestyle session can capture candid emotions and yes, even those post-partum tears, that show what life was truly like...and it's pretty beautiful. 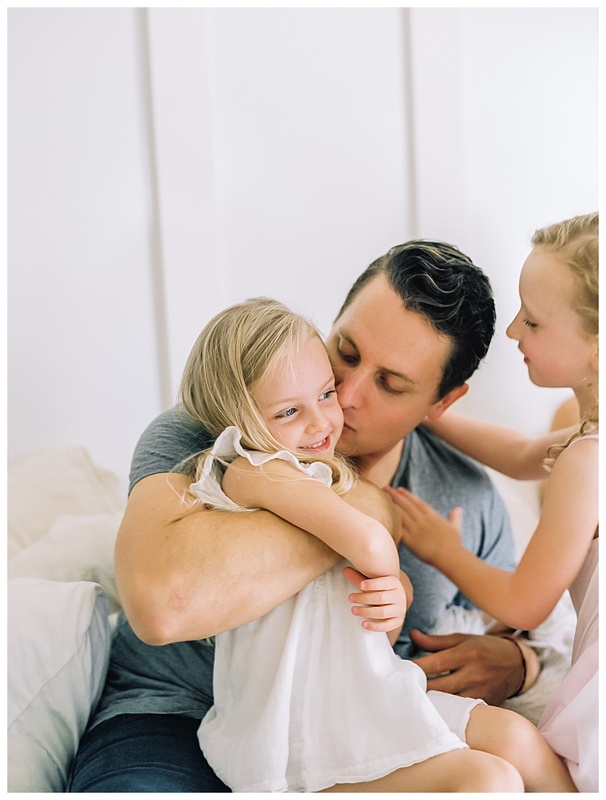 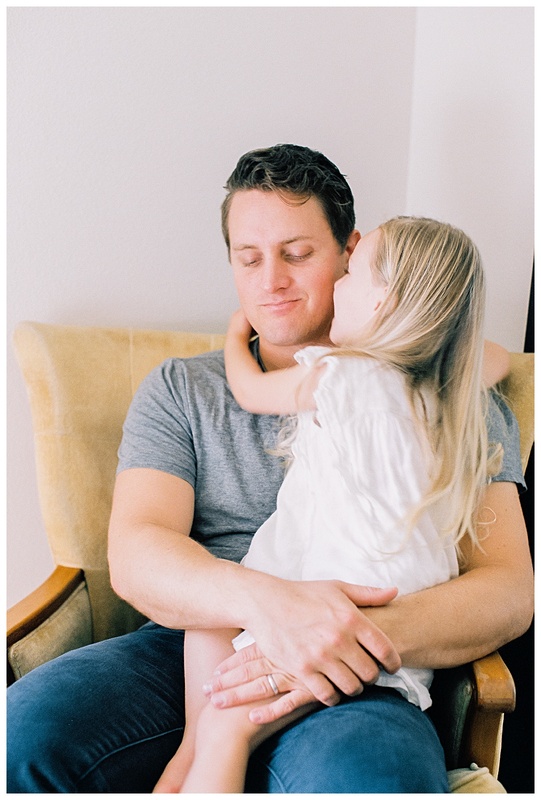 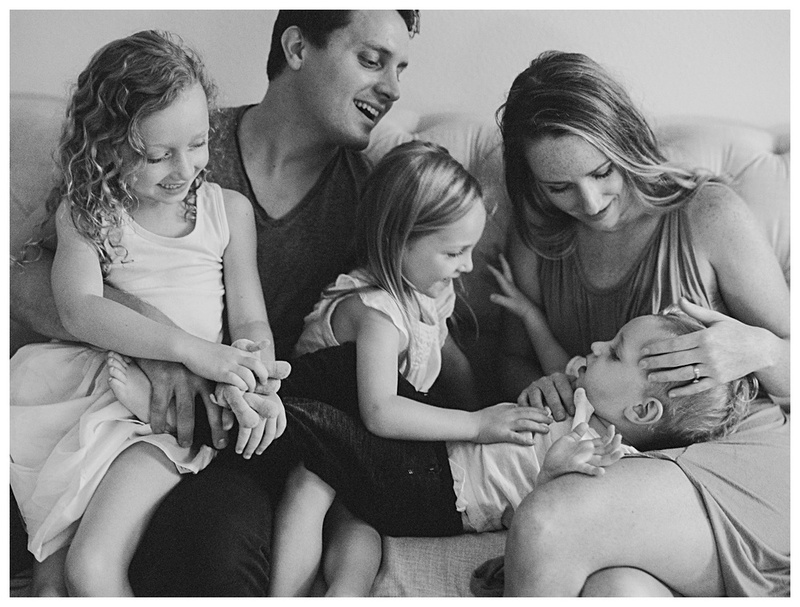 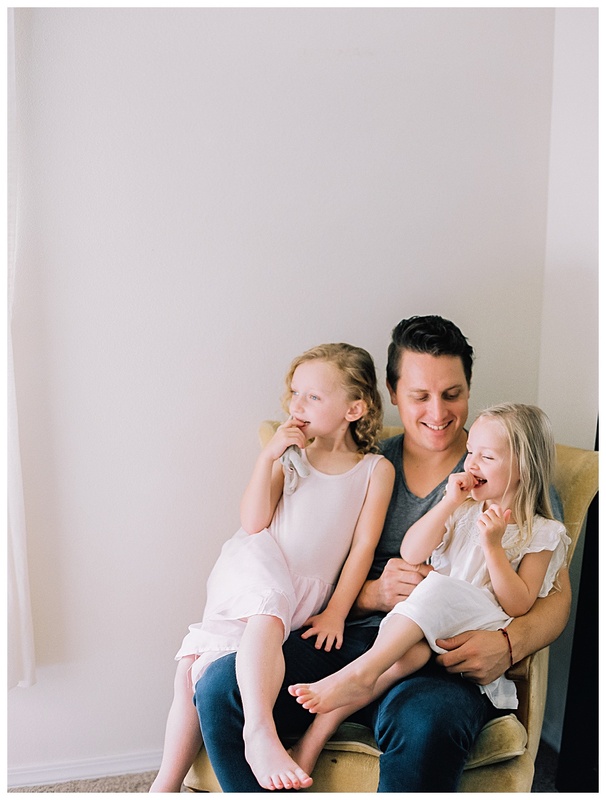 This in-home session with the Olsson family was such a delight. 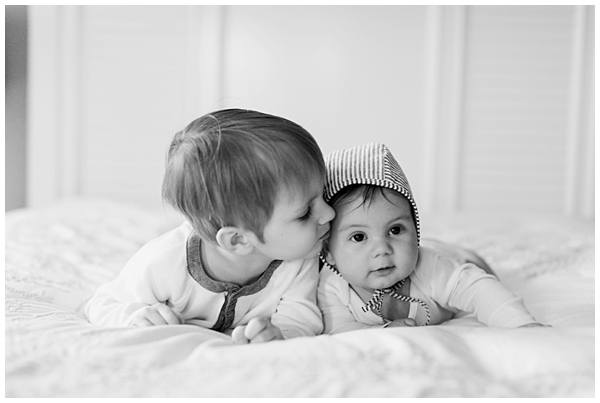 They now have two beautiful, charming, and active baby boys, and capturing some of their first weeks home was such a privilege. 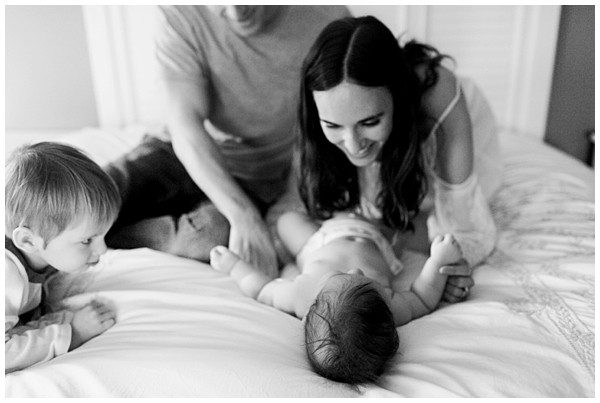 I hope they are always able to look back on these images and remember when their trio turned to a foursome! 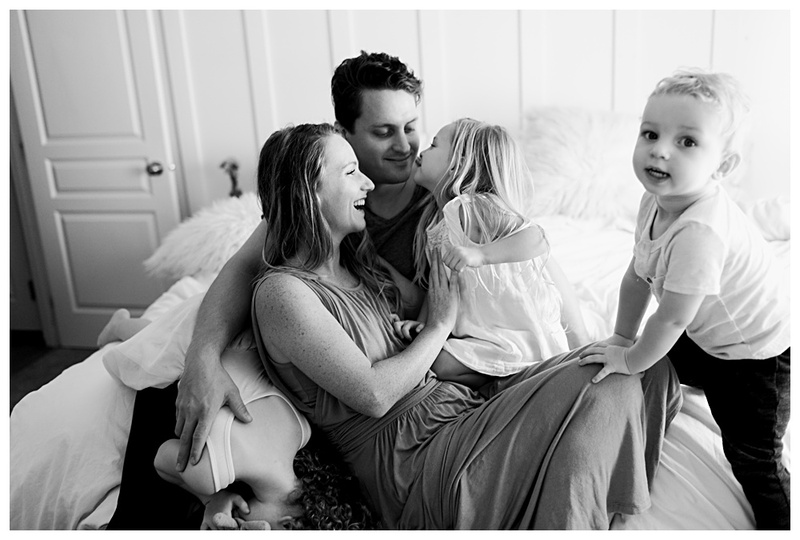 Meet Grace and her sweet little family! 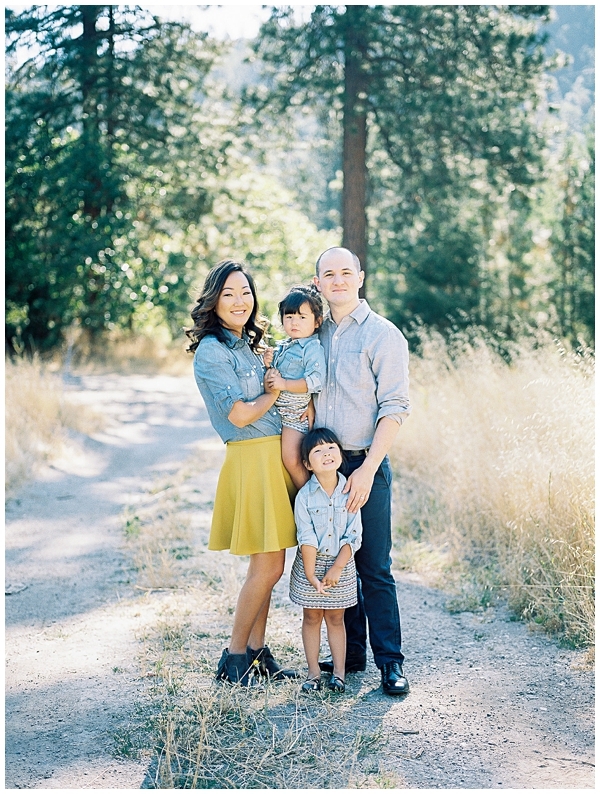 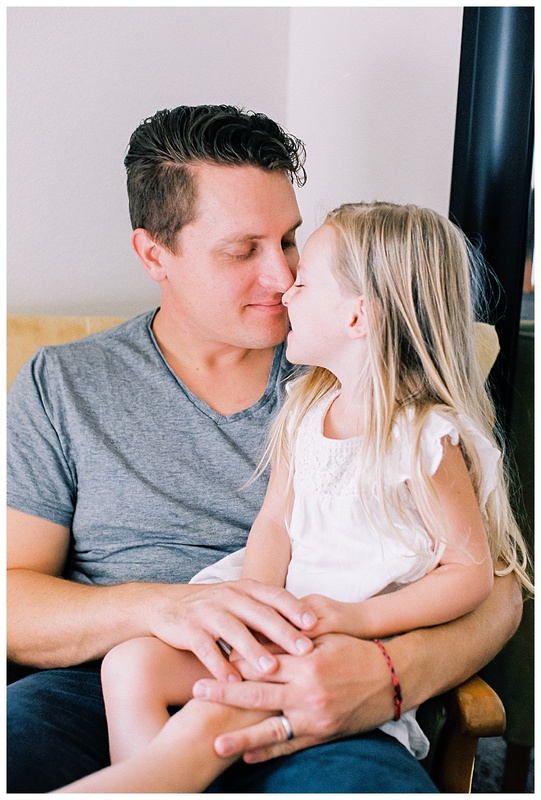 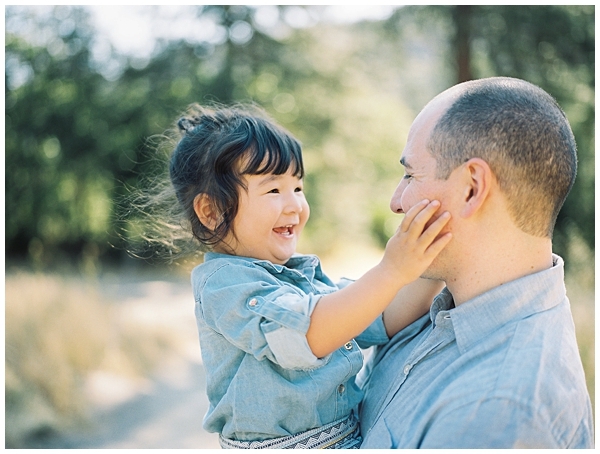 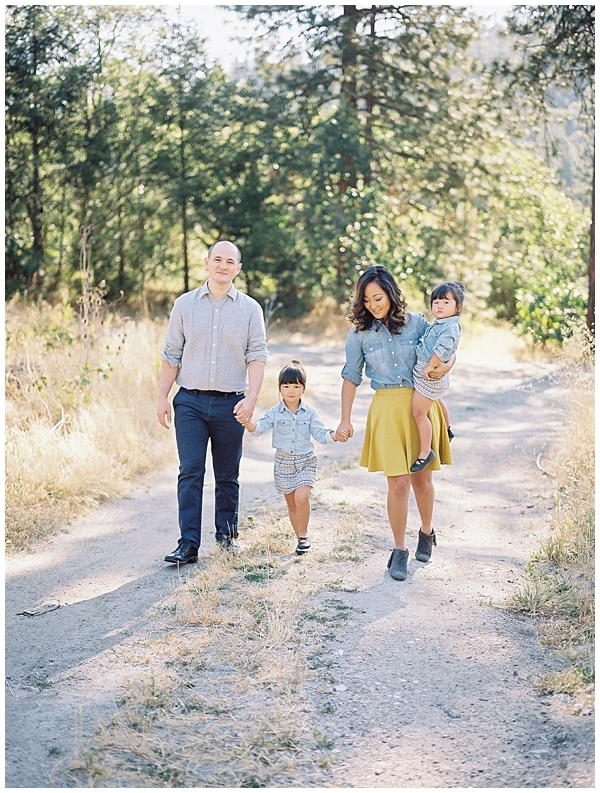 I've been their family photographer for a few years now, and I love working with them. 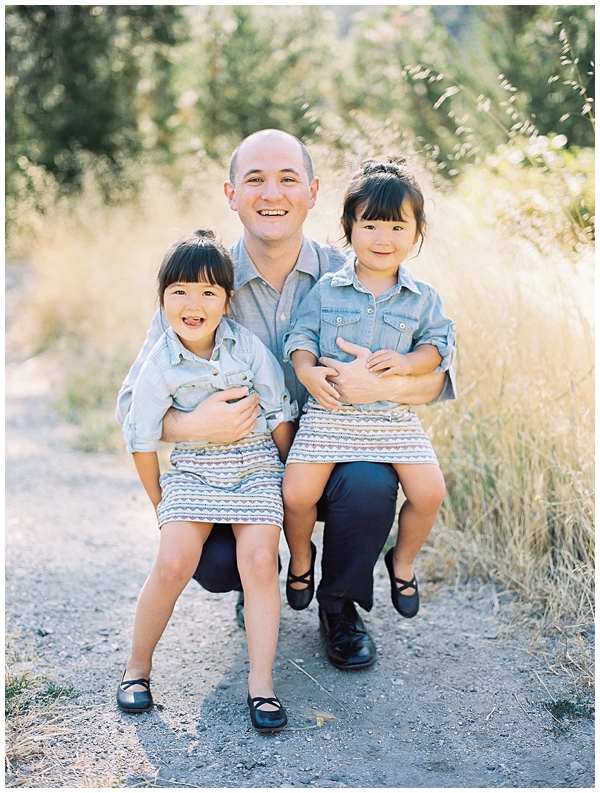 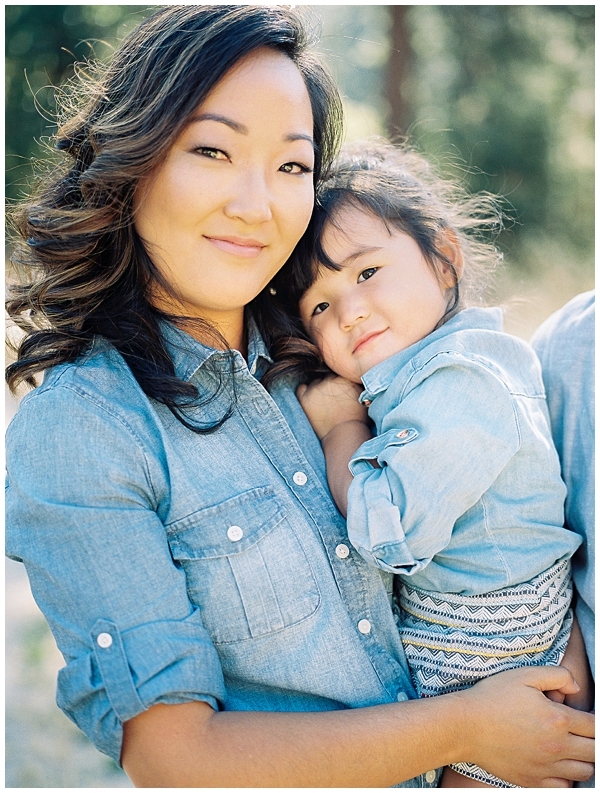 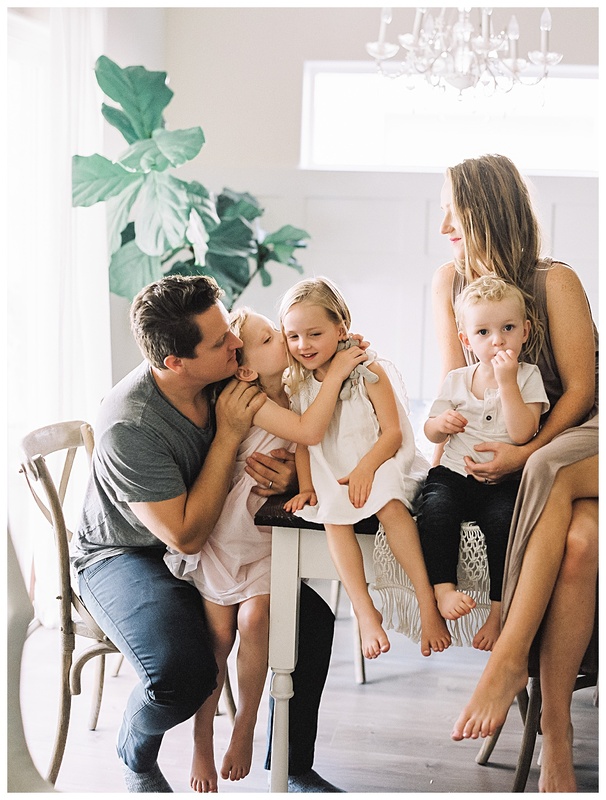 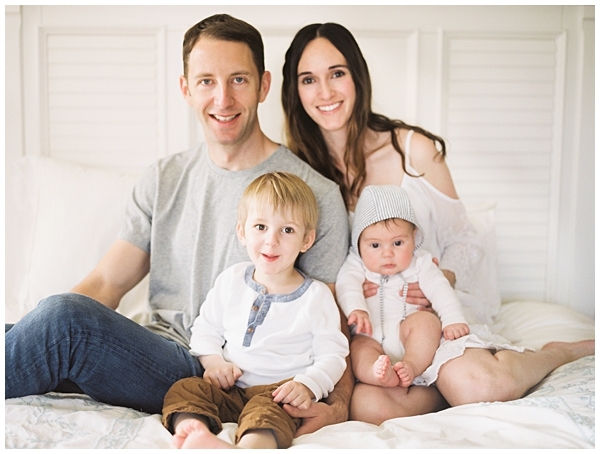 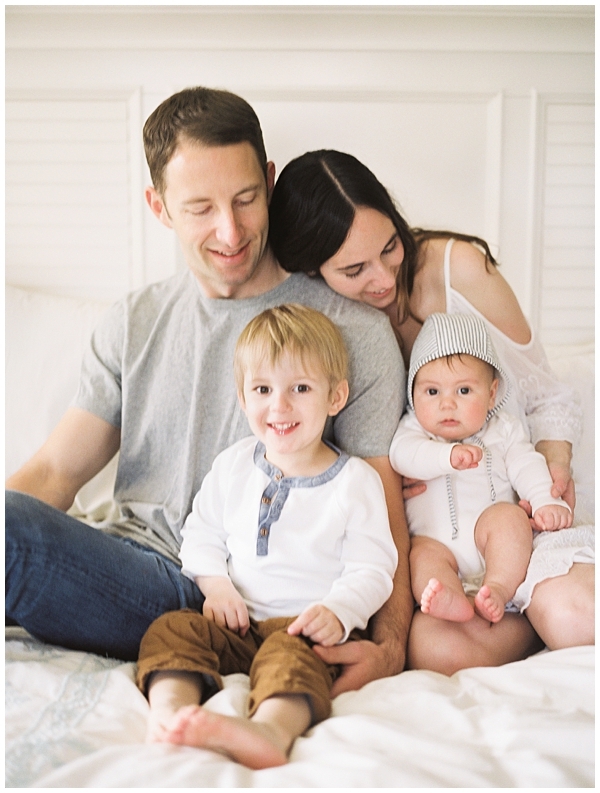 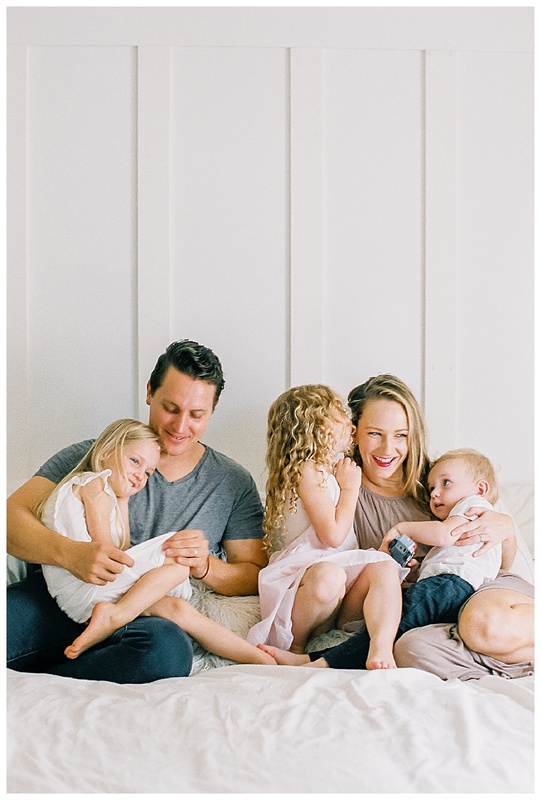 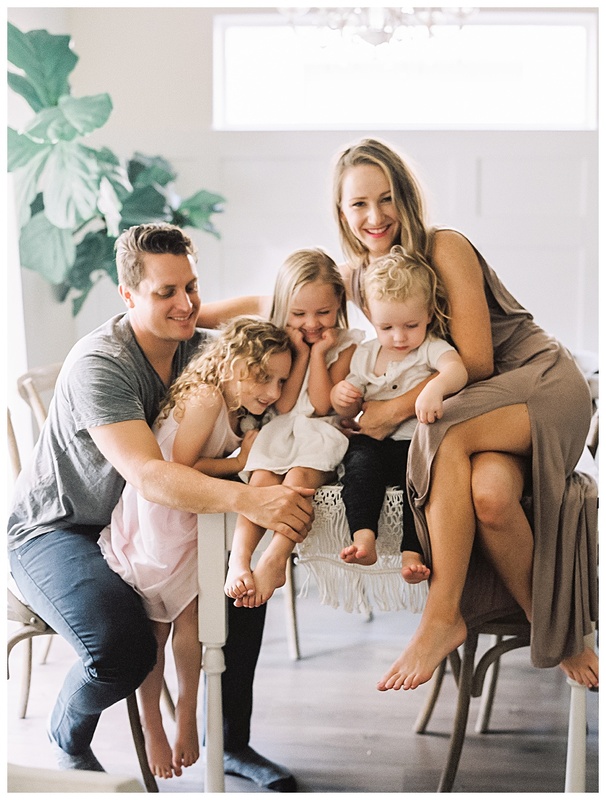 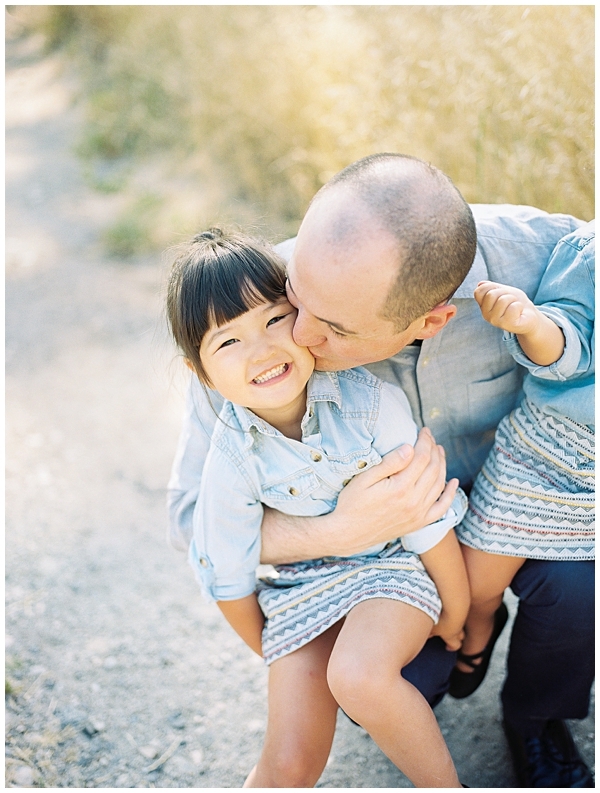 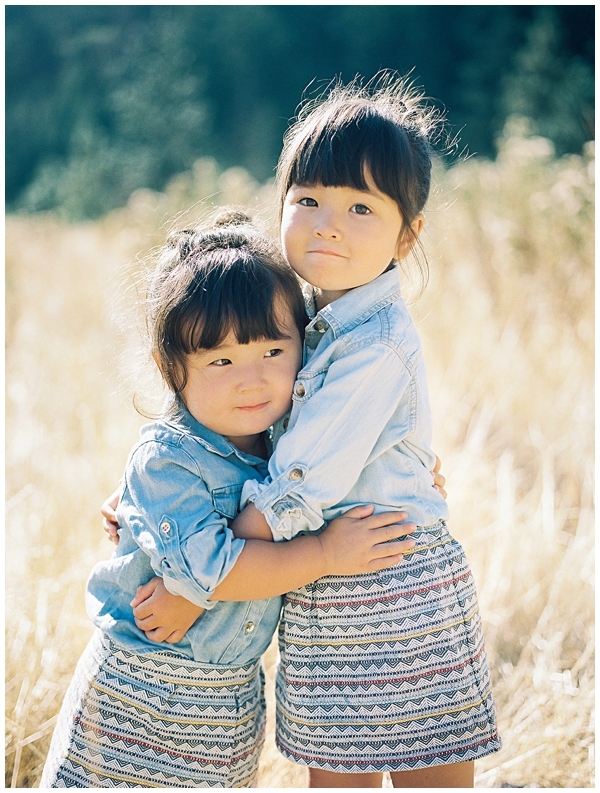 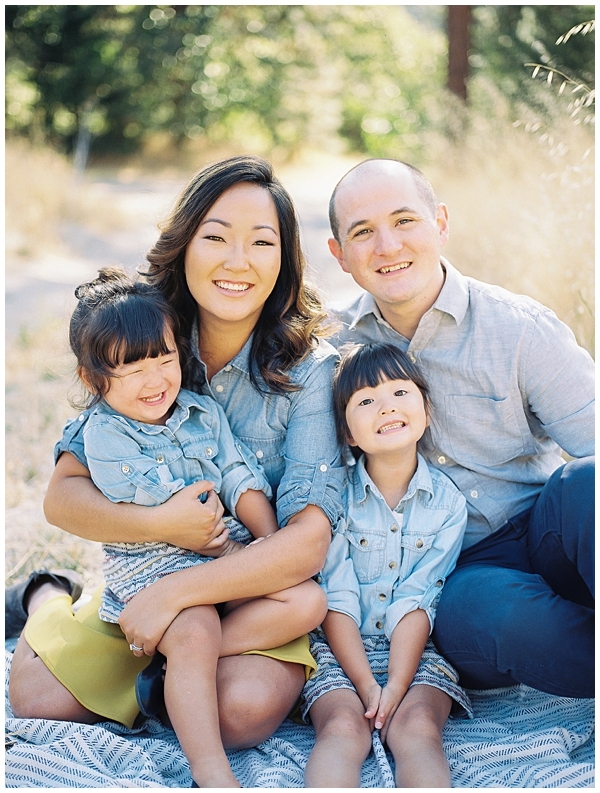 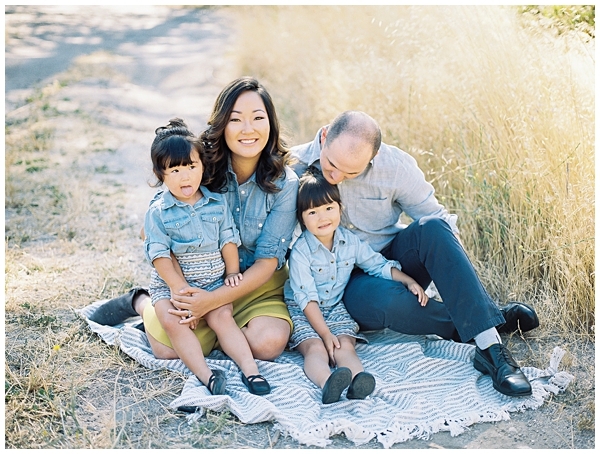 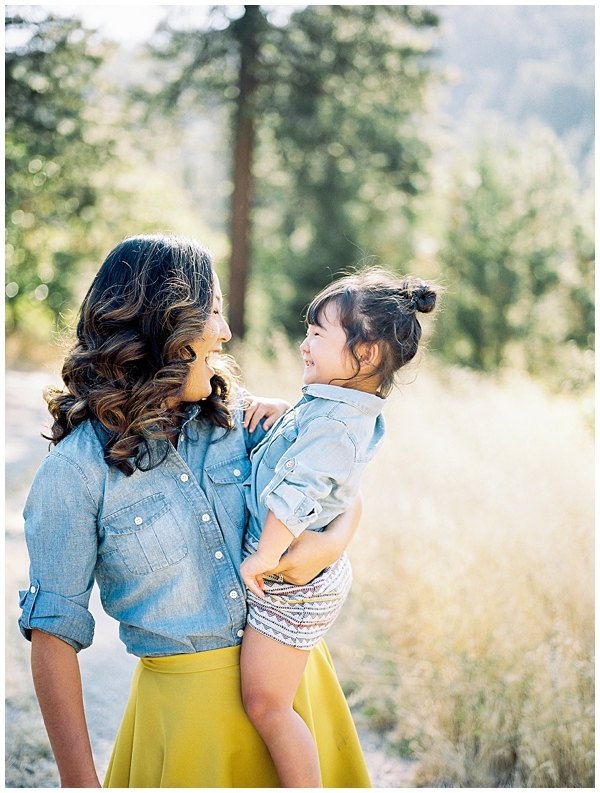 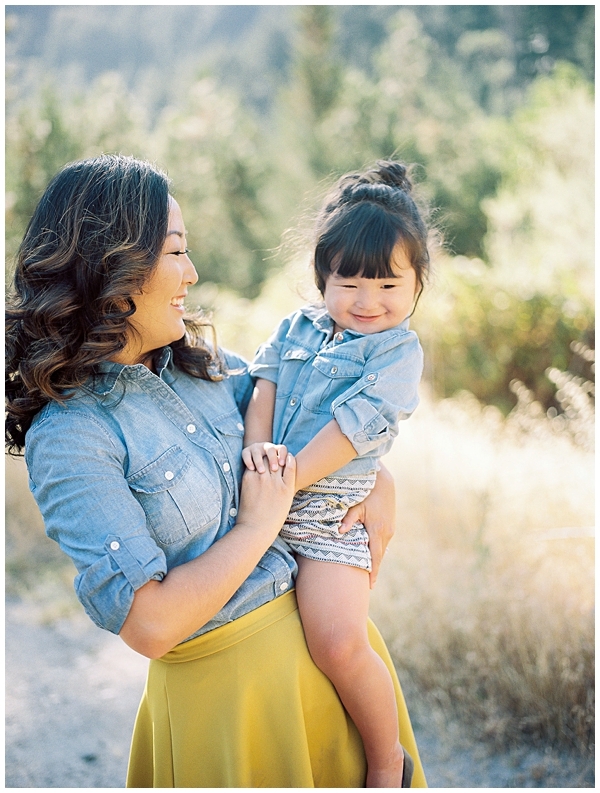 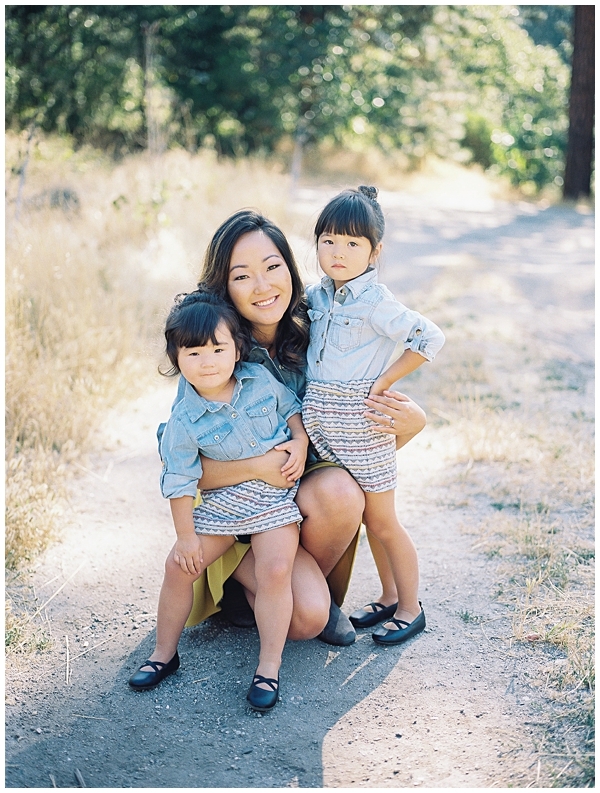 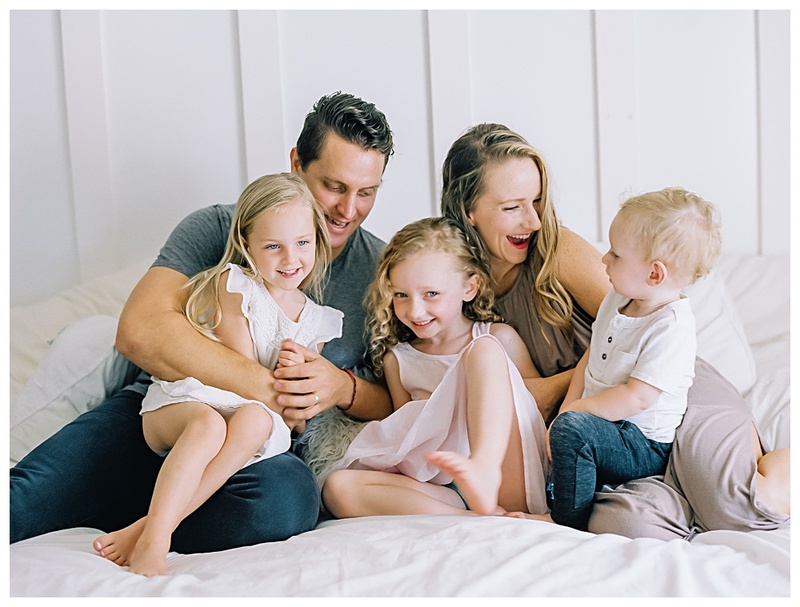 "I love Olivia's style because it matches the vision I have for our family photos", explains Grace, "Olivia is always a delight to work with, and she captures my children in such a way that the photos always come out better than I imagined. 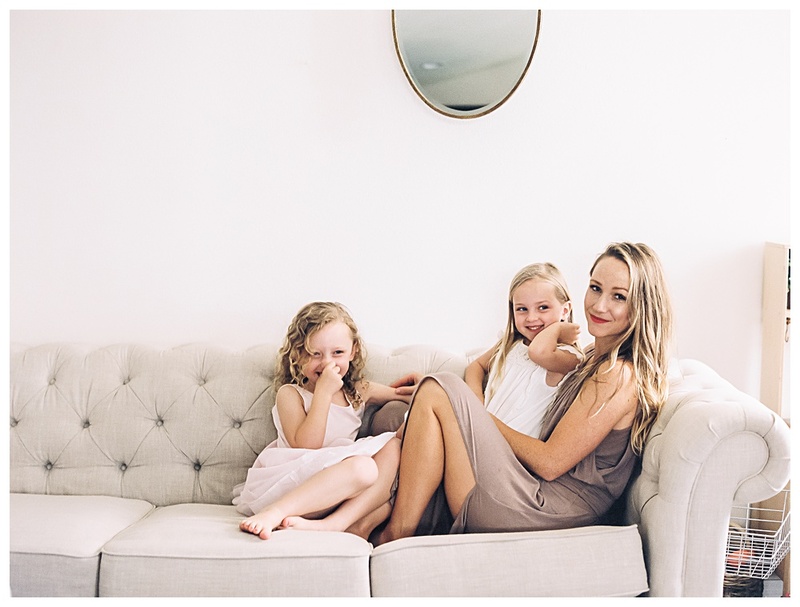 My girls adore her and always smile for her. 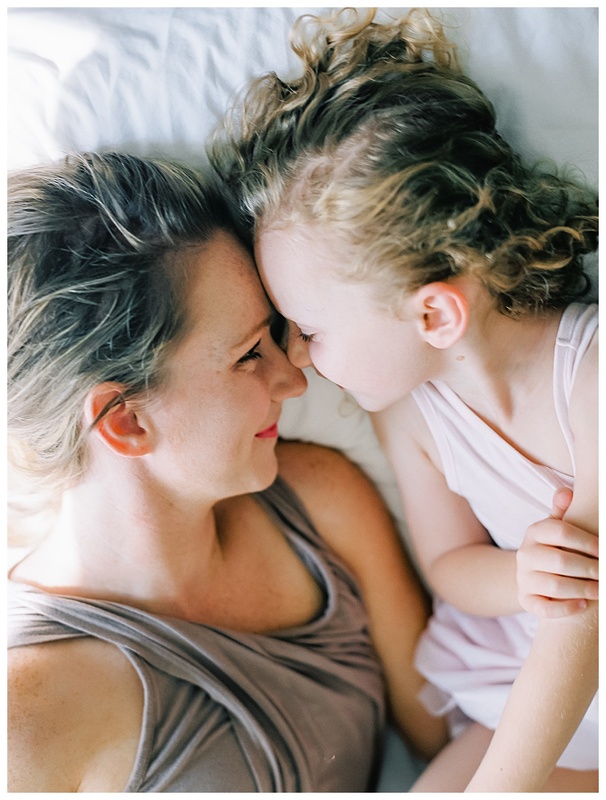 She's a mom, so I think she has a unique connection with children and an ability to make them laugh and have fun! 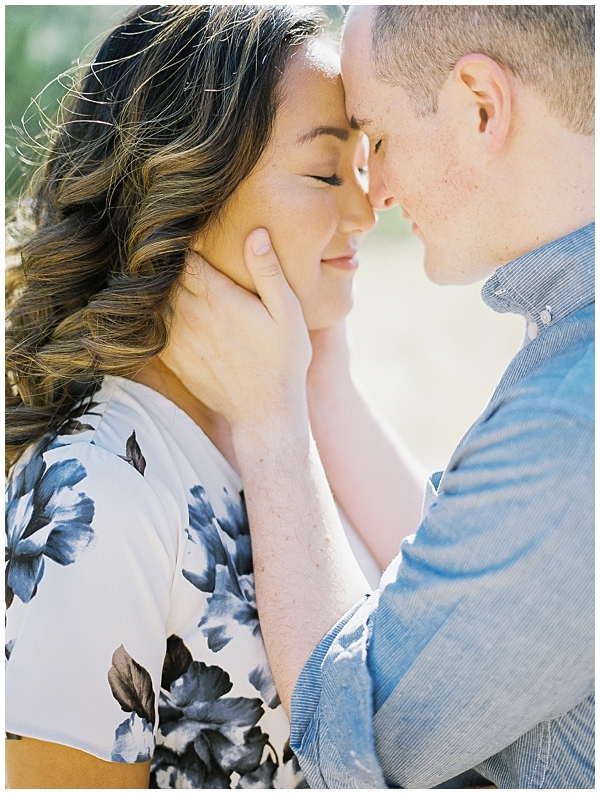 Most of all, she always listens to my desires, and makes my ideas come to life. 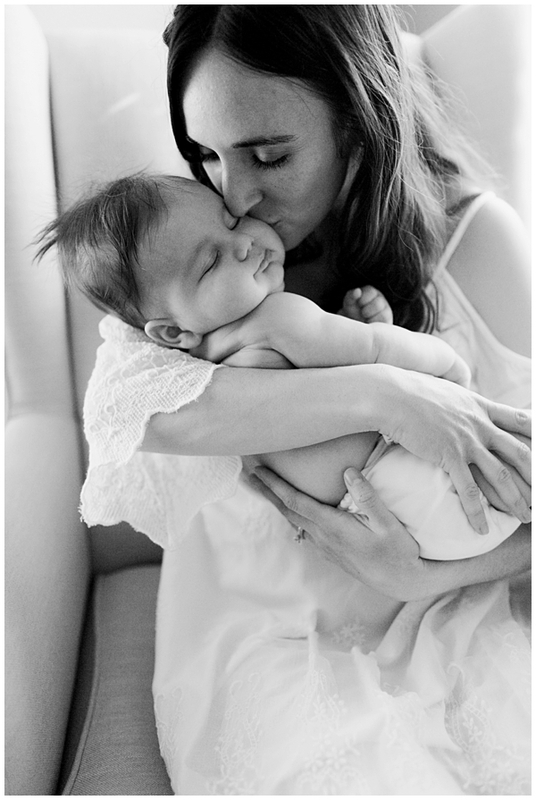 That's so important in a photographer, and the reason why we keep coming back!" 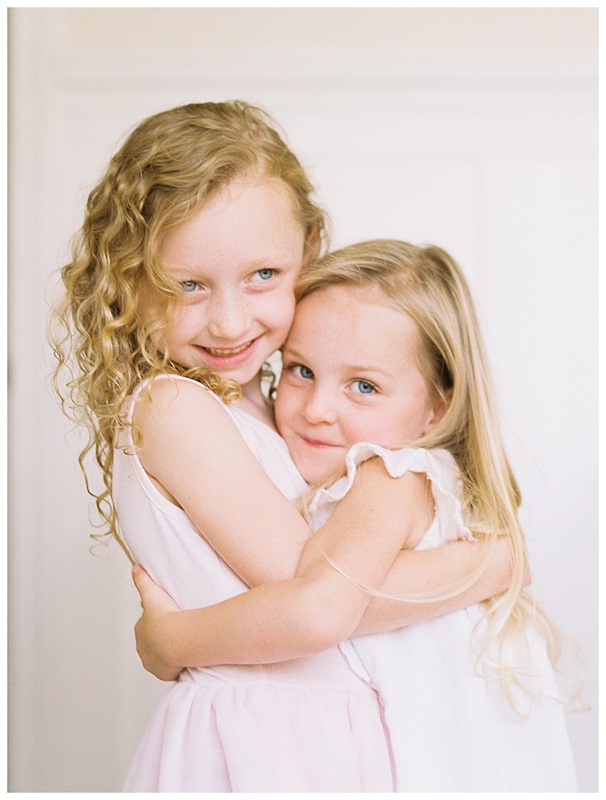 Her little girls are five and three, and are tons of fun. 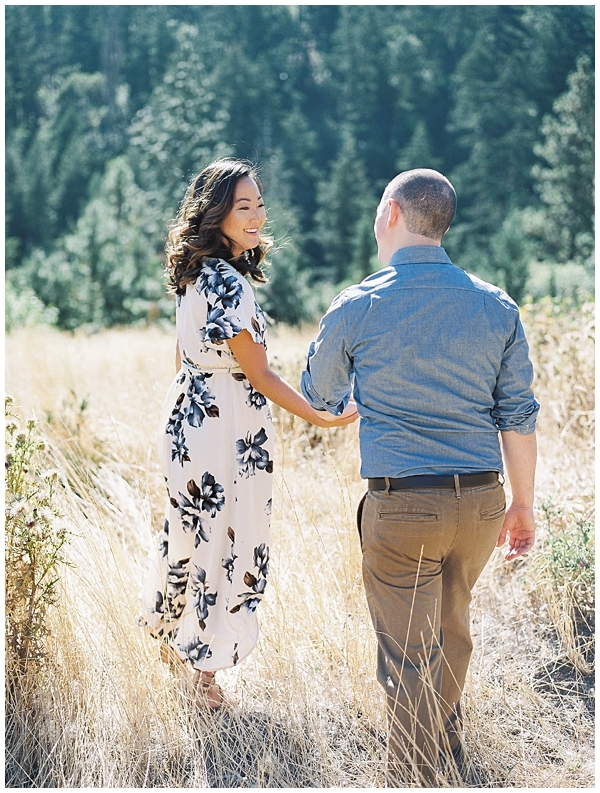 I tried to get both posed and candid shots of them as they ran around, enjoying the fresh mountain air. 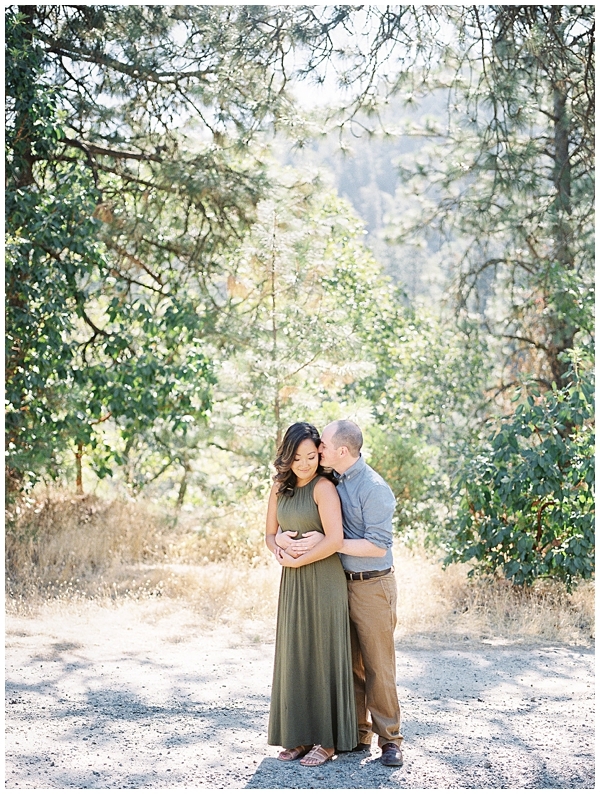 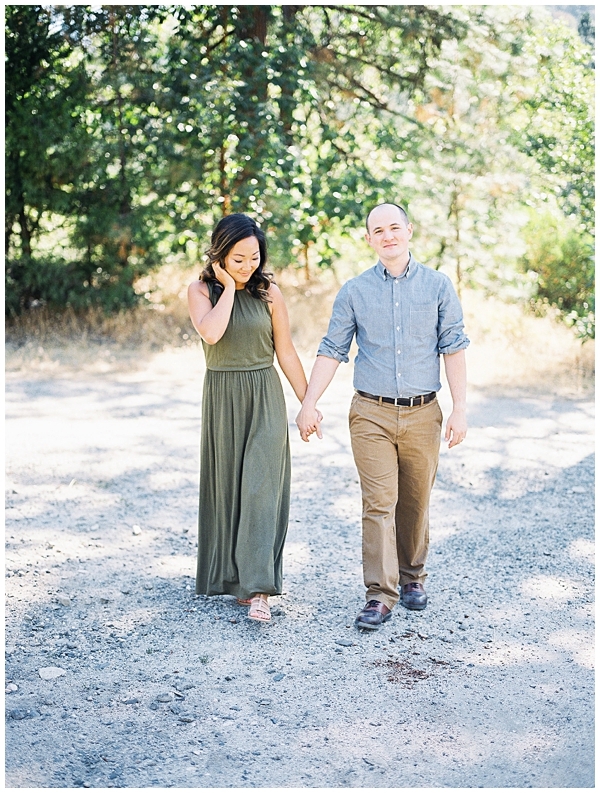 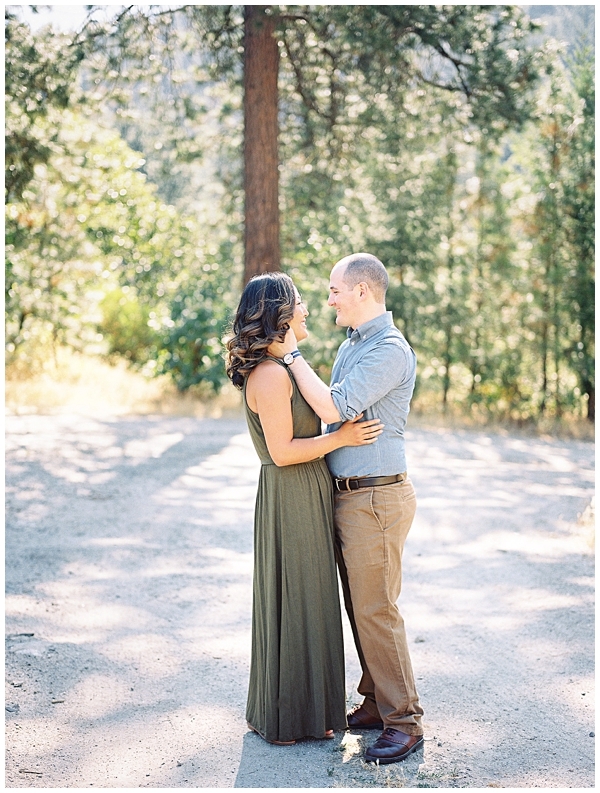 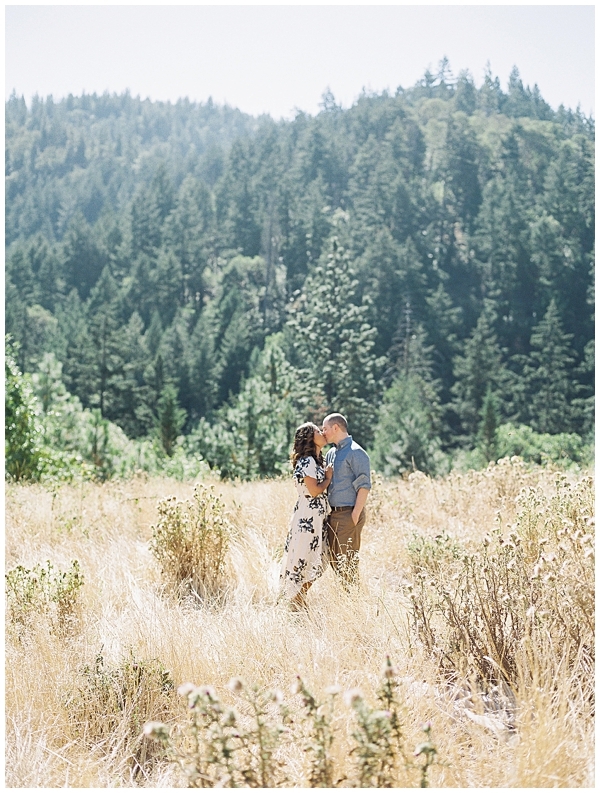 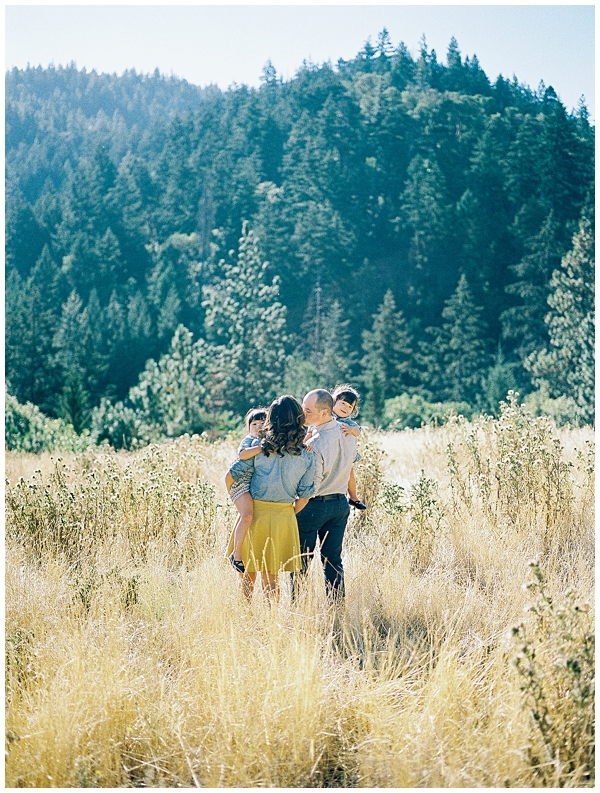 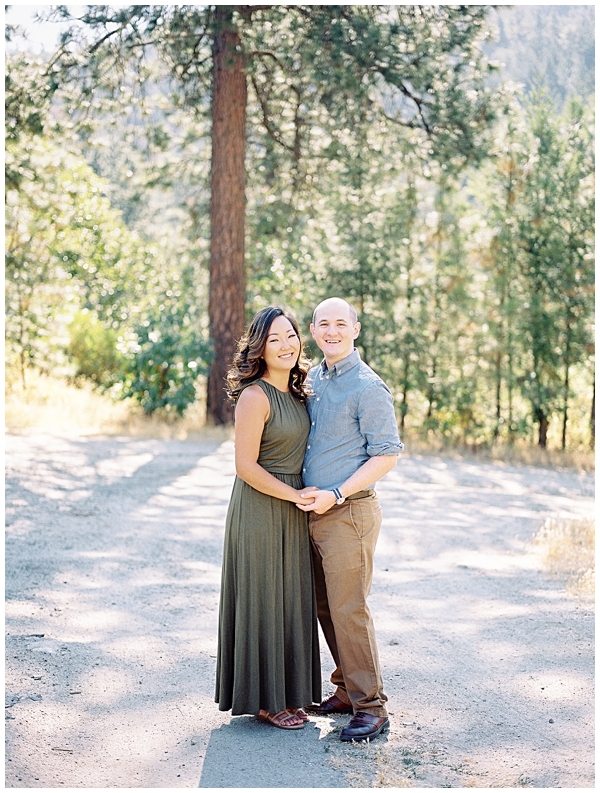 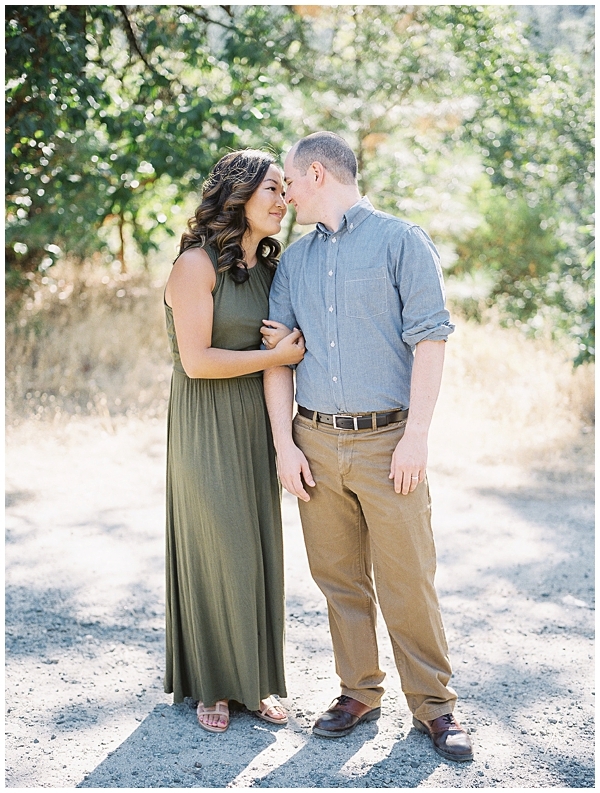 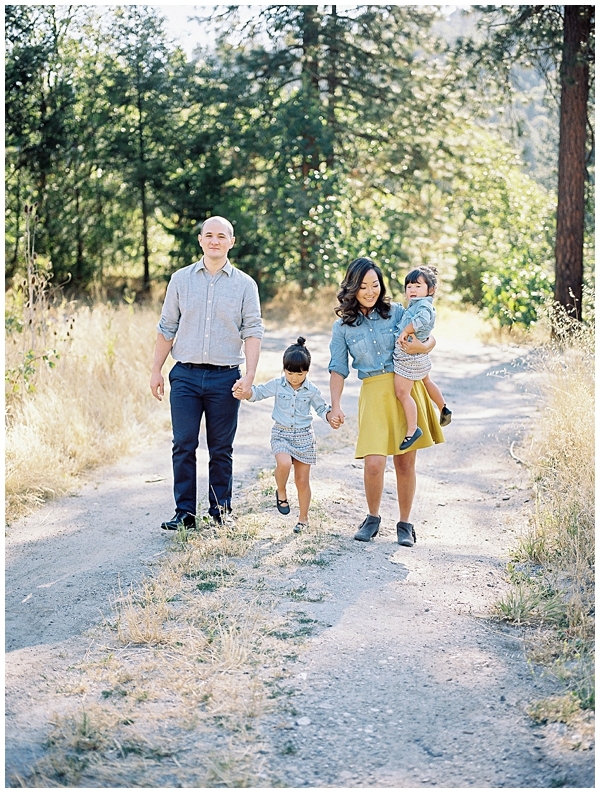 The family requested a shoot that celebrated their love of Southern Oregon, and I scouted a location in Ashland, Oregon, nestled in the mountains, and surrounded by towering trees. 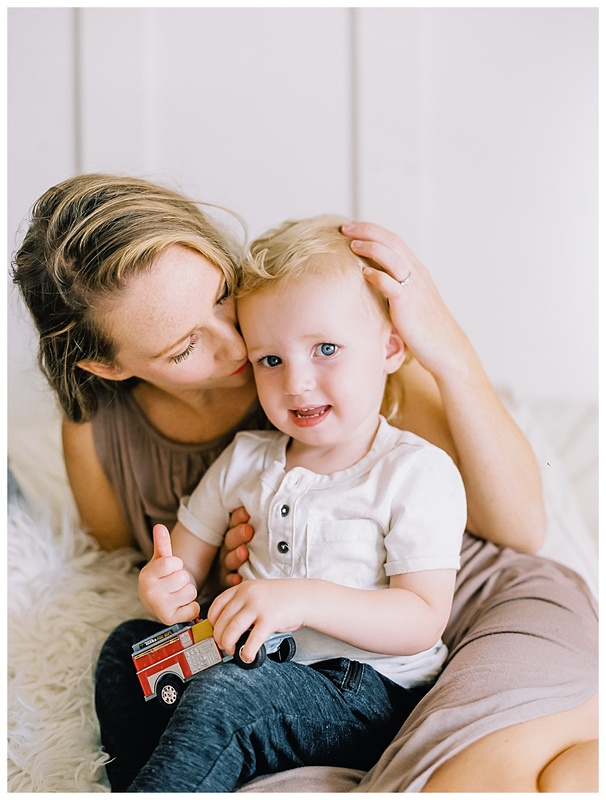 We met up for their session in the fall, before the rain and cold set in, and documented this season in their lives as parents of little ones. 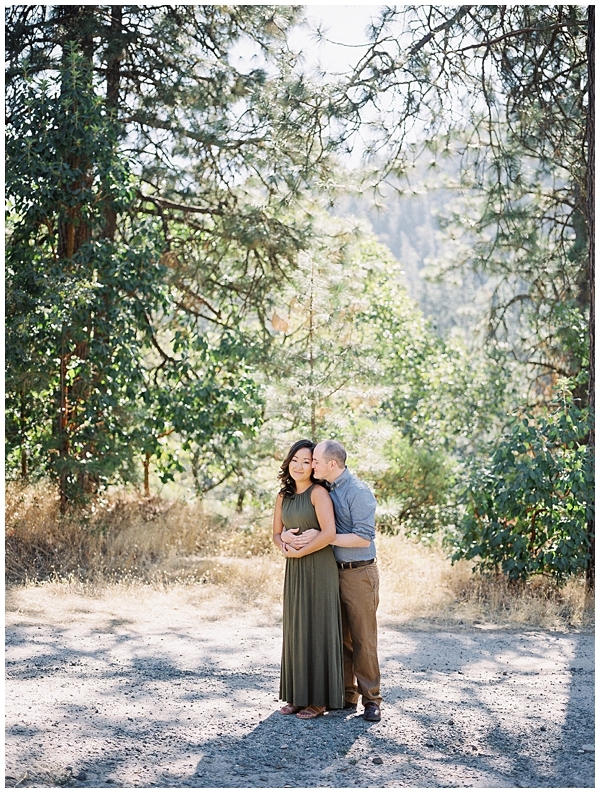 I love that Grace always asks for a few photos of just her and her hubby to capture their love and marriage. 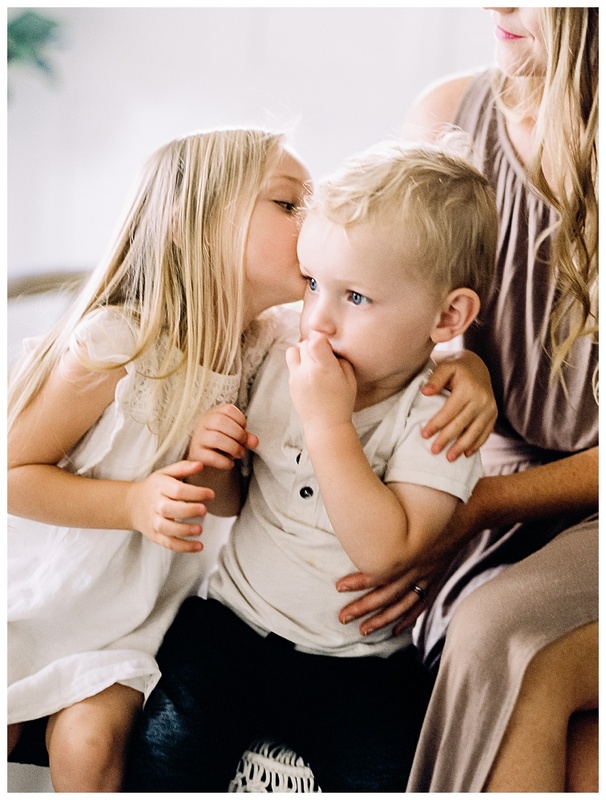 As all parents of small children know, getting any time together is a juggling act, and yet, photos together are such a special treasure. 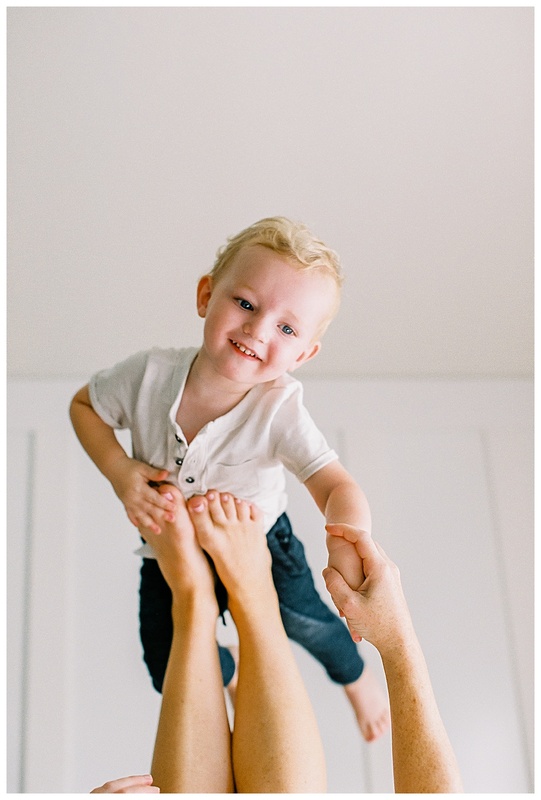 These will be the photos your children look back on in years to come, and quality pictures of their mom and dad are something you will never regret. 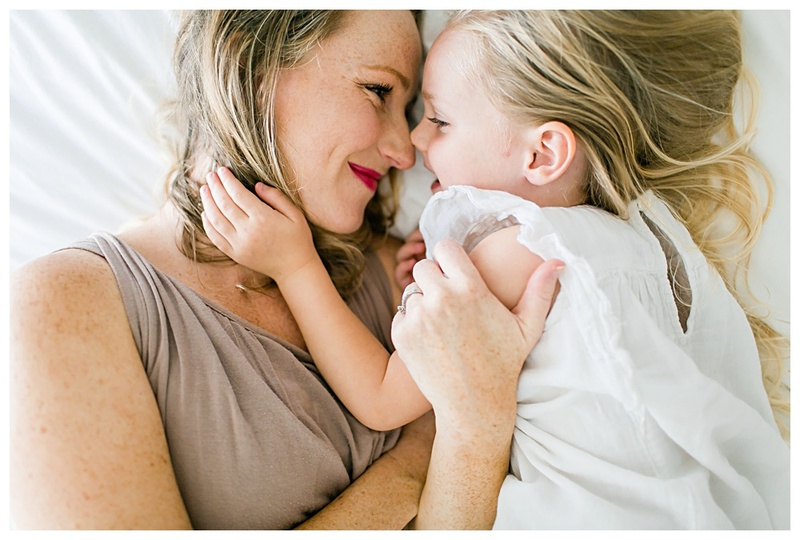 Contact me today to schedule a shoot of your own!